 We specialise in the renovation and repair of casement and sash windows and doors. Wood is long lasting when regularly maintained. 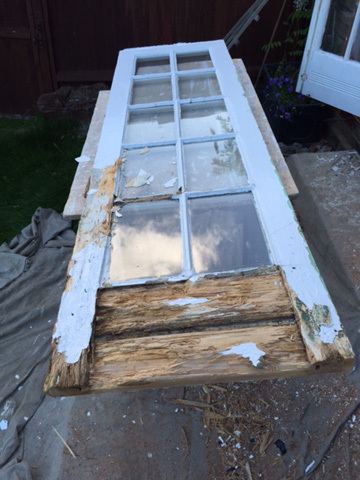 If it is left untended frames can decay and start rotting, causing draughts and looking unsightly. We can repair your Windows replacing the wood and glass if needed improving the fit so they run smoothly. 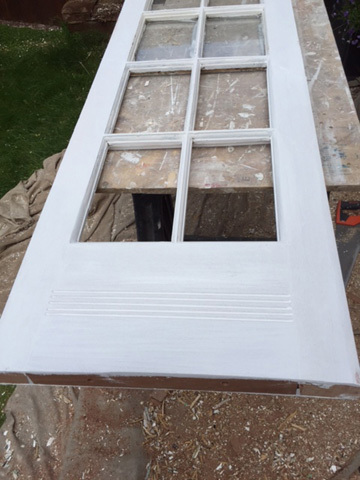 Traditional Sash Services has 15 years experience working with sash windows. In that time we have strived to maintain our high standards of attention to detail. 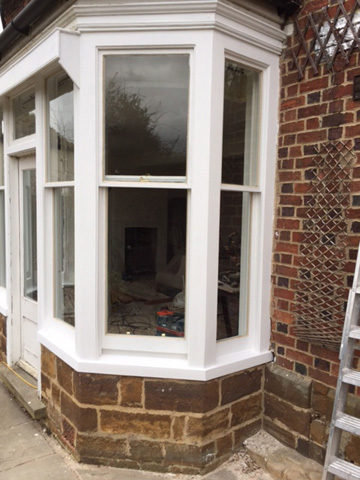 With our competitive rates of service you can be confident we know and understand the importance of keeping our methods as traditional as the sash windows you have at your property. ● Sash & casement window renovation and repair. ● Renovation / repair of wooden doors. ● Double glazing installation to sash and casement windows. ● Eases opening and closing. ● Raises your property value. 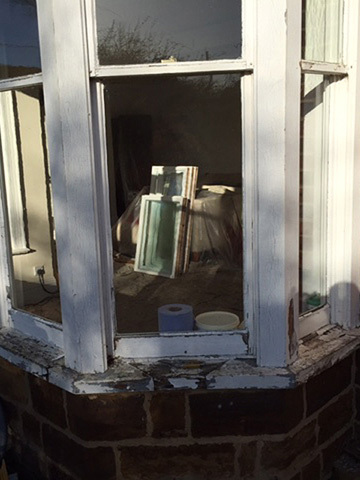 Window frames can decay and start rotting, causing draughts and they can look very unsightly. We can repair your windows replacing the wood and glass where needed. Once complete, your windows will once again become a great feature of your property. A fully repaired window will look great, will be more energy efficient and will add value to your home. At first glance, this example looks beyond repair. We replace the rotten areas with quality hard wood. Glazing and fittings can also be replaced. 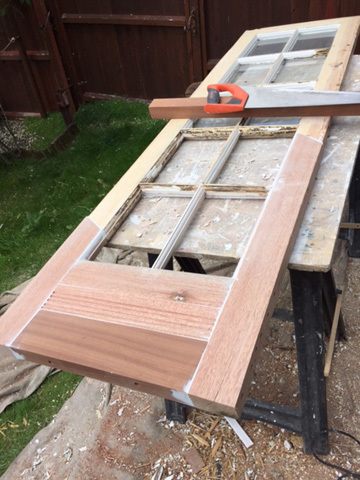 Once complete, this door will look as good as new. 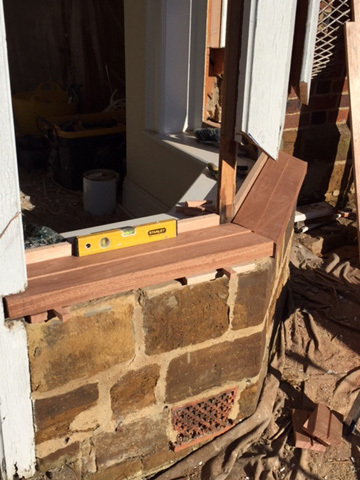 Our craftsmanship ensures the period features of your property can be preserved for many generations to come. 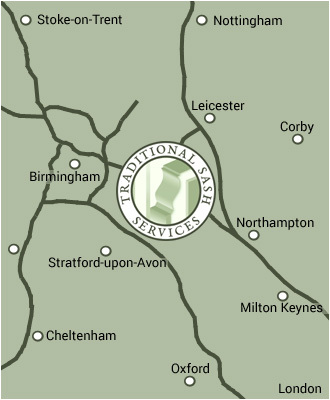 We are based in Rugby in Warwickshire, ideally placed to access the UK’s main arterial motorways, ensuring we can cover a large area of the country.